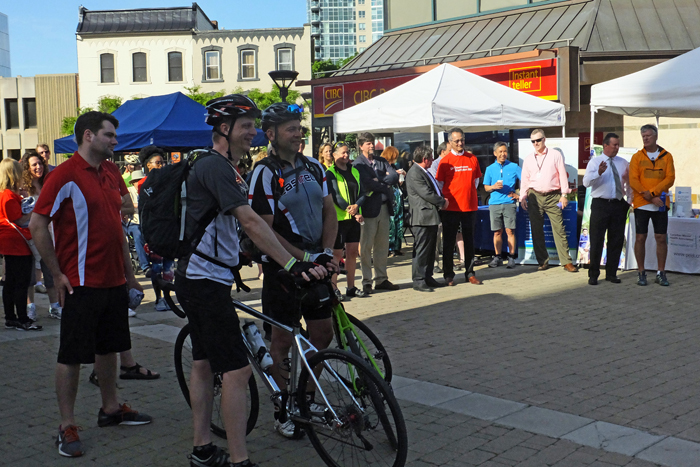 The 6th annual breakfast celebration kicks off ‘June is Bike Month’, promoting cycling as a viable and healthy option for commuting to work. Ride into downtown Brampton to Garden Square (Main & Queen) beside Rose Theatre. 7:30am – 9:00am. Event attendees can expect a free coffee and breakfast, along with the opportunity to win a prize. A number of speakers will provide a perspective on cycling in the City. There will be an engaging line up of vendors/exhibitors including: Region of Peel Walk + Roll, BikeBrampton, Downtown BIA, Peel Regional Police online Bike Registration, Brampton Transit and several downtown businesses. You can register your bicycle serial number on the spot! Bike to Work Day is being held in communities across the GTHA. Let’s make Brampton proud, by registering and coming out to Bike to Work Day on May 28th!